First, wash and peel the radish and then julienne into 1-2 cm thick strips. 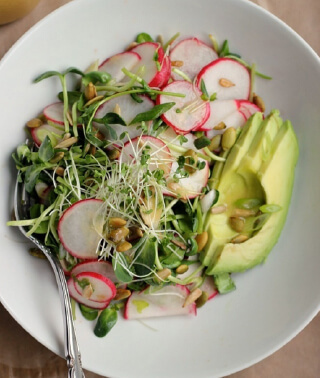 place into a bowl with enough cool water to just cover the radish while you prepare the rest of the ingredients. Cut the shiso leaves into thin strips, 1-2cm thick. 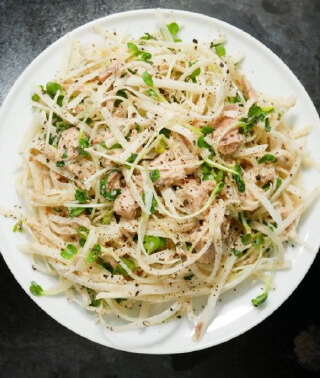 After you've mixed the tuna and seasonings in, add the microgreens, a splash of sesame oil, fresh pepper and serve! 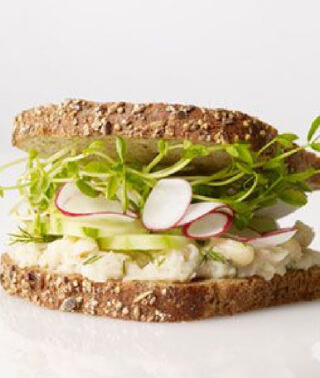 Place microgreens, radishes, green onion and half the toasted seeds and stir together.